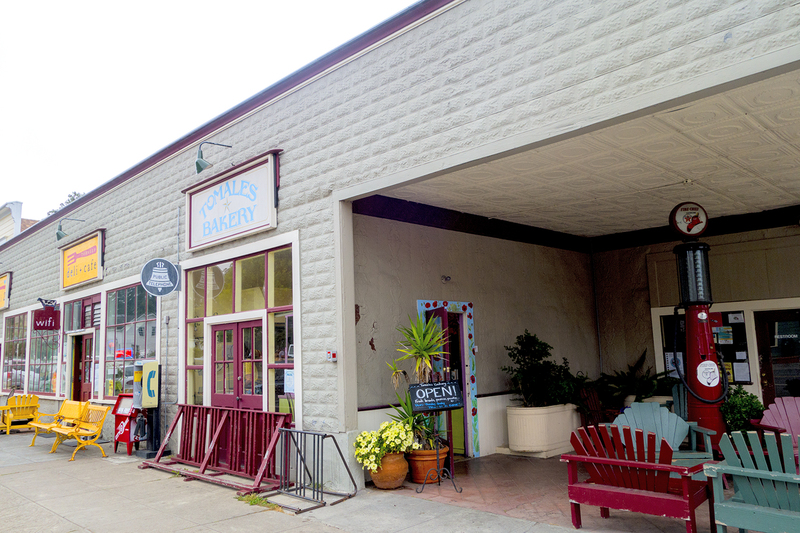 It occurs to me that there’s another gift to be found in bastions of farm to table fare and vineyards and that’s the great bakery. 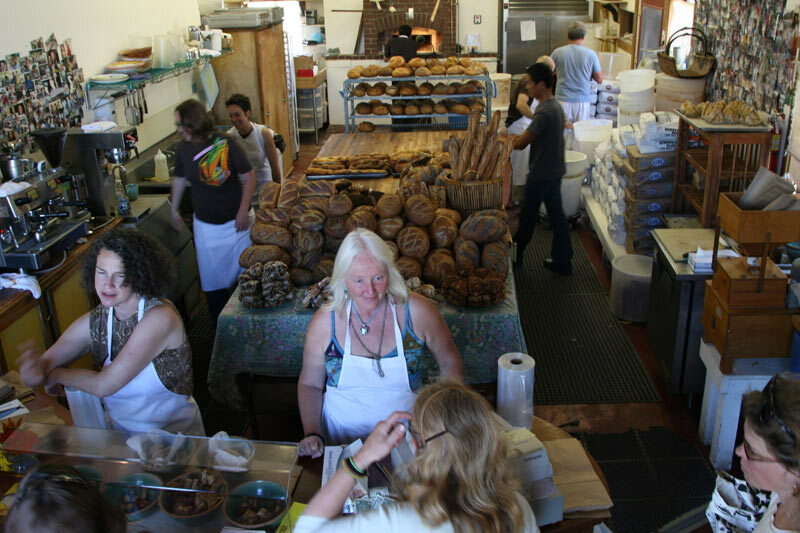 They’re the boulangeries of France, the panadarias of Spain and the artisan bakeries of Sonoma and West Marin. Even a tiny burg with 200 inhabitants may sport such an establishment. 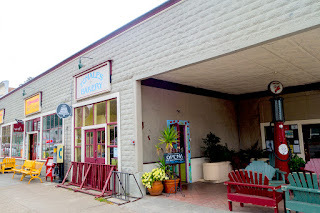 Such was the case when my host at Canvas Ranch said I had to visit the Tomales Bakery, open Thursday through Sunday morning, calling it the “best bakery in the world” and I quote. 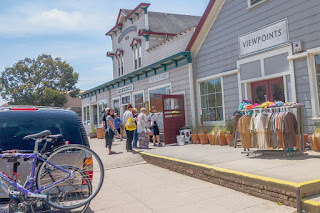 I’m indicting the Tomales Bakery in Tomales, the Bovine Bakery in Point Reyes Station and Wild Flour Bread in Freestone as co-conspirators in a four pound assault on my boyish figure in six days in Paso Robles and Sonoma and Marin Counties. 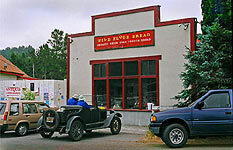 Wild Flour Bread at the corner of Bohemian Highway and Route 1 in Freestone. 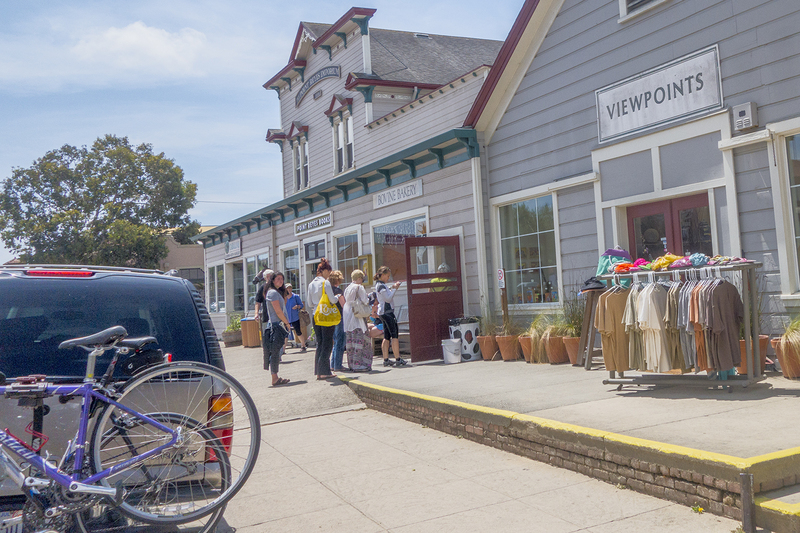 This incredible place sits just across the street from the Joseph Phelps Tasting Room. How convenient. 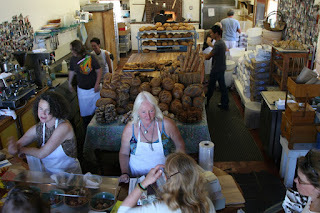 Note the pile of fresh bread behind the blonde lass. I devoured the best bread I've eaten since pain ancienne in in Riez, France in 2011. Previously I’ve made the case that where wine grapes grow other marvellous foodstuffs flourish and good restaurants abound. 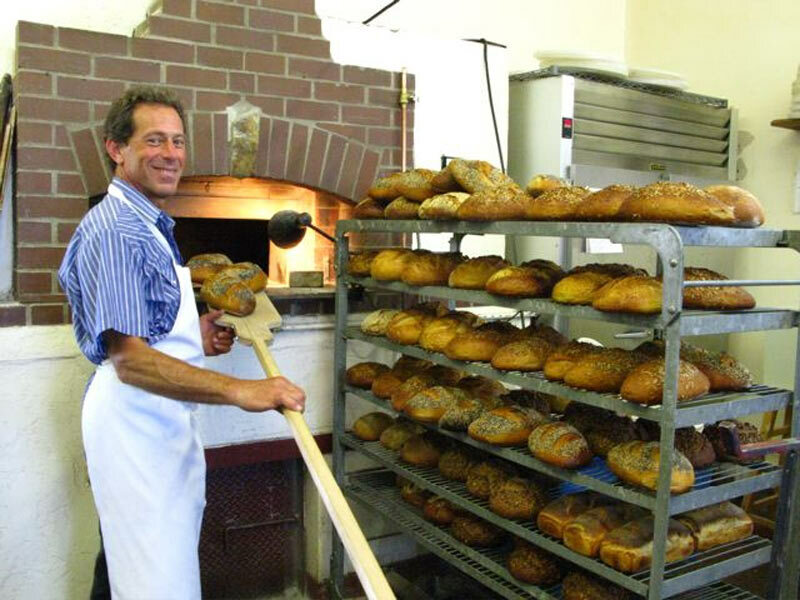 You can add really good bakeries making really good bread to these markers of good living. Awhile back Peggy were making a list of attributes that any new place we’d chose to live would have to have. 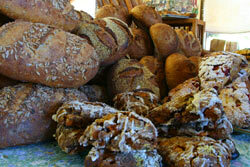 A good bread bakery was high on the list. Fresh produce, too. Let’s just say that the Sonoma and Marin Coasts score 100s on the Immel Good Living Index. Some of these images are on the smallish public domain side. It wasn't till I got home that I concluded that good bread may just be the soul of good eating and of a truly advanced culinary community. In fact, I'm pretty sure that's the case. Ah, the assault on the boyish figure. What a turn of phrase and what a great blog! Your food photography accomplishes what it is supposed to do - make the viewer salivate and want more! 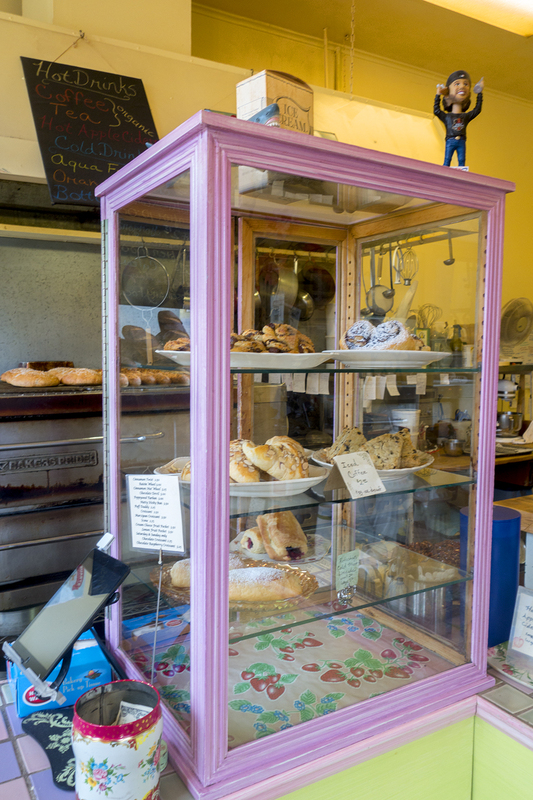 Indeed, a fine bakery across the street from a good winery is just about heaven. Love the images of "some kind of bun", the peach filling being scooped into the pie crusts, well, heck ALL of them! The richness of these images far surpass many featured in numerous travel and cooking magzines. Now that I am starving, do continue to enjoy your little slice of heaven! To achieve this food nirvana you may just have to go to Sonoma.